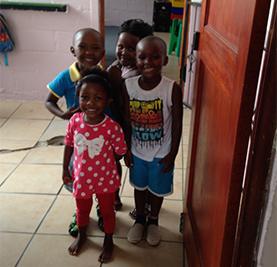 The Early Childhood Development Centre has undergone an incredible transformation in the past seven months. 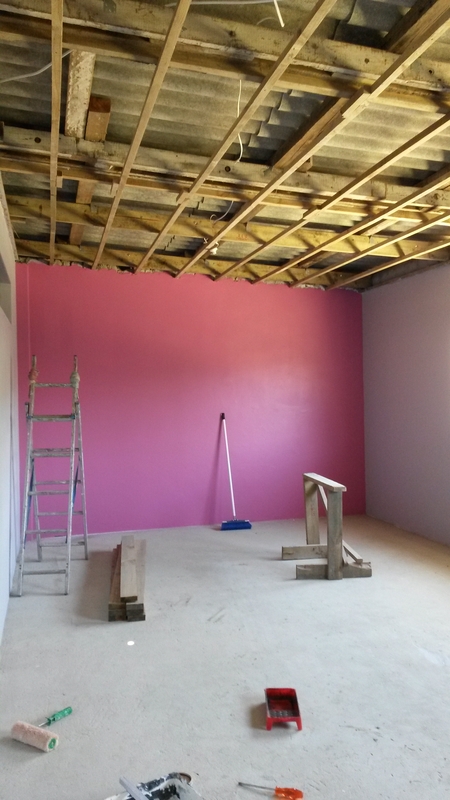 With the first phase of the building project completed, the pre-school now has a brand new, redesigned, spacious wing. Included are two additional classrooms which has enabled the Centre to increase enrolment from 60 to 110 children aged two to five. This bright, modern wing also houses a new staff room, admin office, upgraded kitchen, and lovely new bathrooms for the children. It is a first class facility, made possible thanks to a huge financial investment by the local abalone company Aqunion. 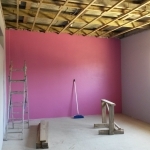 The second phase of the upgrade is expected to be completed in May and it includes a crèche for 22 babies aged 3 months to 24 months, the upgrading of one of the existing bathrooms, and the installation of a roof over the school’s courtyard. Corny Rode, General Manager of Yomelelani, and her staff, have worked extremely hard to equip and prepare the Centre for the arrival of the new children. 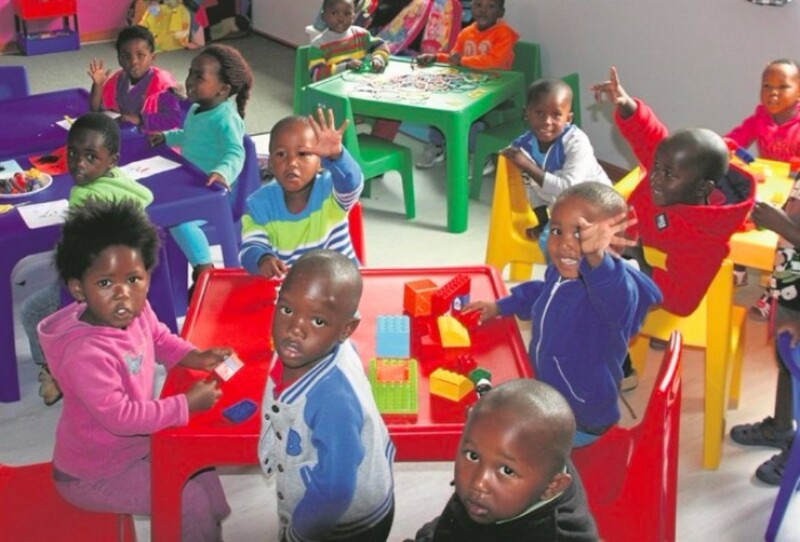 She says the number of ECD (Early Childhood Development) teachers has jumped from three to six in the past year, and two more teaching assistants have joined the team. Phumeza Tshongwana, mother of a two year old enrolled at Yomelelani says, “I am getting the best care and education for my child. The community can see that Yomelelani is growing now”. The Trust is approved by the UK Charity Commission (Registered No.1161202) and by the UK tax authorities for Gift Aid purposes. 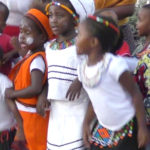 Its objective is to provide financial support for the development of Yomelelani. We launched our website before Christmas 2015 and already, due to the rapid progress, we are having to update it. The Donations page has already been modified to make contributing to Yomelelani simpler. Every donation, however large or small, will help to secure the future of Yomelelani in enriching the lives of so many children in the Zwelihle township. We have been visiting Hermanus with our wives Hilary, Thelma & Jill for a number of years. 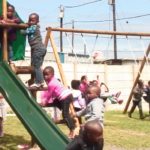 Yomelelani is a community project in the township adjoining Hermanus which provides early childhood development for children from very deprived backgrounds. At this moment Yomelelani is embarking on a very exciting development which will involve nearly doubling the number of pre-school children places to 98 and the creation of a crèche for 52 babies. We plan to circulate a newsletter from time to time to keep friends up to date on progress and we hope that you will find this as interesting and worthwhile as we do. This is just a little note to thank you all for your wonderful support over the last year. What a year it has been! The generous offer by Aqunion to rebuild and extend the school buildings materialised just after mid-year with commencement of the rebuilding work. We are now well into the programme which should finish around Easter time, end March 2016. Despite the grants from the Government Departments, the uncovered cost of nutrition, teaching and new furniture and nappies for the soon to arrive nursery continue to be a worry. The level of donations, on the other hand, will hopefully fill the gap. We are so grateful to those who so kindly contribute. Of particular note at the moment are the artists of Hermanus who have specifically painted a small picture each to raise funds and Bristol University in England who sold tickets for a Yomelelani fundraising night, collecting a similar sum.